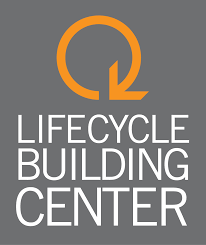 Lifecycle Building Center takes holistic growth seriously. The Atlanta-based not-for-profit turns waste into wealth and opportunity while benefitting the community. One man’s demolition rubble is another man’s—in this case, Adam Deck’s—treasure. Adam is the director of operations at LBC, and he manages the day-to-day grind of salvaging and redistributing reusable materials. To date, more than 90 nonprofits, schools and houses of worship in Metro Atlanta have received building materials at no expense from Lifecycle, collectively saving these organizations more than $600,000. Friends of Refugees, a Clarkston-based nonprofit, used these salvaged materials to build greenhouses, which are helping refugees cultivate sustainable gardening practices. “It had a big impact,” Adam said. LBC also sells materials to the public at 50-to-85 percent less than market value, making it affordable for community members to make home repairs. When LBC works efficiently, the environment is better for it, people are helped and nonprofits prosper. Everyone wins with this comprehensive approach. But LBC was not always as efficient as they are now. Operating without a fully-functional facility was a significant hurdle. As executive director, Shannon Goodman’s job is to make sure LBC moves in the right direction. She recognized the need to gain control of and improve the organization’s facility, which is located in the heart of the community they serve. LBC finally found this opportunity in a massive, 100-year-old warehouse located in Southwest Atlanta’s 30310 ZIP Code. Shannon and Adam knew that the acquisition of the 70,000 square foot facility could take LBC’s operation to the next level. LBC’s small annual budget, short operating history and the amount of capital needed spelled difficulty for LBC. The company spoke with several banks to no avail. “It was borderline impossible for us to procure a $1 million loan on our own,” she said. Things finally began to shift favorably, though. A local family foundation, The Kendeda Fund, partnered with LBC to assist with the process. LBC found the answer they were looking for in Ashley Carson at Atlantic Capital. Ashley worked with the LBC team to find the best possible finance solution while supporting business growth through strategic community partnerships. Ashley and the Atlantic Capital team help Lifecycle flourish in all areas of their business. With a facility of their own and new, strategic community relationships, LBC operates more efficiently. Discover how that approach can grow your business with Atlantic Capital. Bank in the right direction.